Works under the name of John-Hoon in Japan. vilmz gar Dec 06 2017 3:45 am We miss Kim Jeong Hoon so much, wish to see him in Korean Historical Drama. We love him singing and acting as well. Engel Aug 04 2016 7:25 pm I just saw him singing in English in youtube. Just how many languages does he speak? I am amazed. Is he going to star in anymore Chinese drama like Chinese Hero Zhao Yun (I am a Chinese drama lover). Ever since I saw him in Chinese Hero Zhao Yun, he is in my list of favorite actors along with Wallace Huo, Hu Ge, Zhang Han, Vin Zhang and Du Chun. Beth Nov 07 2015 1:39 am I watched Missing Korea with Sandara Park and they have excellent chemistry .... They do have something really good about them . Both were sincere person and decent couples. Perfect ::::: High Ten for these two --- Hoondara--- fighting , will support you guys all the way. Anna Sep 15 2015 1:23 am Apparently he will be starring in a new KBS drama called Missing Korea with 2NE1's Sandara Park. Jay Apr 14 2015 6:36 pm I've seen several shows in which he showed admirable acting. Very attractive and charismatic! Hope to see more of him in the future. minhminh Jul 27 2014 1:29 am I miss you but i never meet you. billy joe fejer Feb 24 2014 1:59 am hi ( Do Jin - Hoo ) :)). i love you very much. you are very good actor in HER LEGEND series. but im curious about the LAST SERIES because im not satisfied i dont even watch if you ger married with EUN JUNG SOO. BUT the bottomline is i love it. im hopeful to meet you in personal. im from philippines. dunno Feb 16 2014 4:43 pm I don't know but I've never liked him... He's good actor, he's smart and good looking but something is missing for me. He needs better dramas so we'll see his amazing talents. Jessica V. Sep 17 2013 11:43 am This foo has the same birthday as me EXCEPT the year. J. Woodson Sep 07 2013 10:39 pm He is supposed to have 145 IQ, went to Seoul national university for dentistry (dropped out for entertainment career). Smart and talented with a great smile. He is my new favorite actor after I saw him in I needed romance. He is not as good in the current drama, her legend, but I think it is because of the story development, they don't give him enough screen time to shine as the hero saving the damsel in distress. He was perfect in I needed romance. Lilchupz Jan 22 2013 5:41 am I loved your role in Love Strategy!! Do more taiwanese/Chinese dramas!! Looking forward to watching Princess hours. Norma ramos Jul 04 2012 10:08 pm I admire you as a loving son to your mom.The first time" I have watched I Needed Romance",I like your role and your partner.Any up coming works?All the best! Sammie Mar 03 2012 6:26 pm Wow,, hes amazing of what i have seen in dramas but i was so shocked at the difference from when he was younger,, almost didnt recognise him,, ive noticed that many korean men look alot younger then they are in princess hours he was supposedly 19 and that was filmed in 2006 its 2012 now and he was born in 1980 so that would of made him a 26yr old playing a 19 old yr old,, well he convinced me hes about 32 now im guessing? Wow,, still amazing!!! mayeth g. Nov 04 2011 3:21 pm Is it possible for you and Yoon Eun-hye to pair again in a t.v. series? You look good together at Princess Hours. Sakura Aug 07 2011 11:59 am I guess he has played with Vivian Hsu in Taiwanese drama Love Strategy (2008). Why is it not given here in the list? Sakura Aug 05 2011 2:33 pm OMG!... I didn't know that he's a great singer. His voice is so magic and he is very lovely guy! 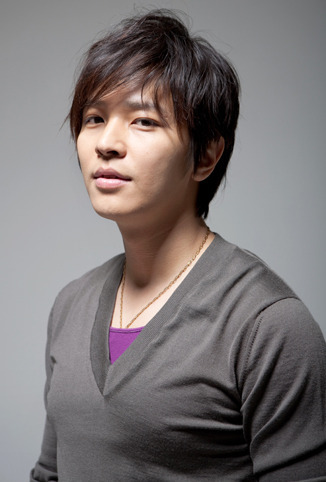 *miracle* Jul 31 2011 10:56 am In my opinion, in some pictures he looks like Won Bin! Guys, did any of u notice that? *miracle* Jul 31 2011 10:53 am He's already back safely from the military service! On 27th of Feb he was discharged from the army! WELCOME BACK KIM Jeong hun! Matsumoto Ran Apr 17 2011 7:31 pm Seriously, I need to see more work from this actor. Where is he now? Is he in military service? Brother i am your audiance,i really like you style.I don't hope you reply me because you are very busy, but i hope, you come to visit to Singapore.I want to see one time in front of me.So i welcome you to come Singapore.If you come here, i go near you and introduce with you.Try hard and always happy.